Nothing gives a landscape a sense of character quite like conifers. 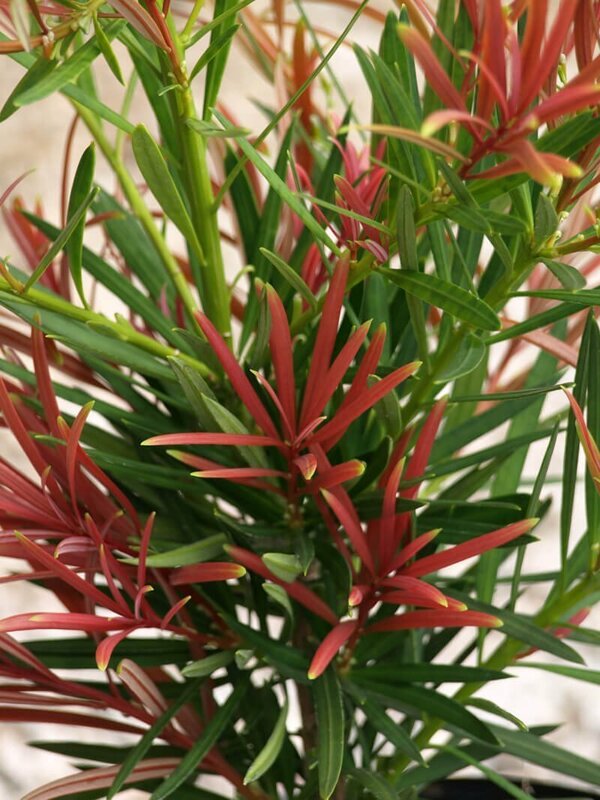 They provide a background for colorful spring- and summer-flowering plants. In winter, evergreen varieties provide much-needed structure when most everything else in the garden is dormant and bare. If you have a sunny landscape, you’ll find no shortage of suitable conifers. But for a shady garden? That’s a greater challenge. It can also be difficult to find medium-sized conifers that will fit into the average suburban lot. Many conifers grow to be very large trees. But because they also (generally speaking) grow slowly, they can be enjoyed in the landscape for years before they outgrow their space. Alternatively, gentle pruning can keep plants in bounds. Shade gardeners might begin their plant search with the plum yews (Cephalotaxus sp.) Looking like long-needled versions of their botanical cousins the common yews (Taxus sp. ), plum yews are reliable performers and are distasteful to deer. Paul Jones, curator of the Culberson Asiatic Arboretum at the Sarah P. Duke Gardens in Durham, recommends gardeners avoid named cultivars of plum yews and stick to the straight species: C. harringtonia, C. sinensis, and C. fortunei. The species grows slowly from 5 to 15-feet tall and wide, and tolerates drought once established. If you want a low-grower, Jason Holmes, curator of the Doris Duke Gardens at Sarah P. Duke Gardens, recommends gardeners seek out cultivars ‘Fritz Huber’ and ‘Prostrata’. If you have space, Jones notes that Japanese umbrella pine (Sciadopitys verticillata) is beautiful in light shade. It grows slowly to 25 to 30-feet tall and half as wide. It has no serious pest or disease problems. Its common name comes from the long, elegant needles, which are arranged in a whorled pattern at the ends of branches and resemble the spokes of an umbrella. It prefers slightly moist soil, so water diligently as it becomes established, mulch with 2 to 3-inches of bark or compost, and tend it in dry periods once established. Another conifer that prefers a slightly moist soil, the Hinoki falsecypress (Chamaecyparis obtusa) species and cultivars “can be among the best for shade if one takes the time to establish them well,” says Jones. He recommends cultivars ‘Gracilis’, ‘Gracilis Nana’, and ‘Graciosa’, or “whichever cultivar in the size you want that’s available.” Establish it carefully with regular water and a healthy mulch. Podocarpus macrophyllus can ultimately grow 20 to 40-feet tall and half as wide, but it is easy to manage through pruning. Weathington notes that with ‘Akame’, most of the show is with the new growth, so pruning or hedging the plant will only increase the showy display. It’s also much more tolerant of dry soils than some other conifers. “My love affair with this species really started during the 2007 drought when the podocarps sailed through without any damage,” says Weathington.